David Attwell: I would like to ask something about the literary life. Since Doubling the Point, you have both written (and written about) autobiography. In one of the less well-known of these pieces, "Homage," published in The Threepenny Review a decade ago, you write about the influence of Rilke, Musil, Pound, Faulkner, Ford Madox Ford, and Beckett. An unusual collection of names, not recognisable as a general canon, but they seem to be a personal canon of some kind. What is striking, though, is the almost visceral relationship you have to these influences, if I may put it that way. "The deepest lessons one learns from other writers," you say, "are, I suspect, matters of rhythm, broadly conceived." And later, you say, it is not "ideas" that one picks up from other writers, but (I simplify here) style: "a style, an attitude to the world, [which] as it soaks in, becomes part of the personality, part of the self, ultimately indistinguishable from the self." Is a canon, then, properly conceived, more than a handy bag of sources - it is, rather, a mode of living? J. M. Coetzee: The article you refer to is a fairly hastily written piece, the text of a public lecture given in the days when I still did that kind of thing. I dont believe it will bear close interrogation. For one thing, the "influences" I list are not of the same order. The writers who have the deepest influence on one are those one reads in ones more impressionable, early life, and often it is the more youthful works of those writers that leave the deepest imprint. In the case of Musil, for example, it was certainly not The Man without Qualities that influenced me as a young man but the earlier, lusher stories. In the case of Beckett, it was the work pre 1952 rather than the work post 1952. There is a further complication that I dont believe I saw at the time when I was preparing the piece. There are works of literature whose influence is strong but indirect because it is mediated through the whole of the culture rather than immediately through imitation. Wordsworth is the case that comes to mind. I see no marks of Wordsworths style of writing or style of thinking in my own work, yet Wordsworth is a constant presence when I write about human beings and their relations to the natural world. Bearing these caveats in mind, and others that it is too boring to spell out, and turning to your question, I would say that in ones canon (to use that term for the moment, which I do without pleasure, since it is overworked nowadays) one does find a style of response to experience - or (a more sceptical way of putting it) ways of confirming ones responses to experience. David Attwell: Within the great expanse of European history you describe, if I may say so, the aesthetics of the early to mid-twentieth century seem to have been especially influential. And for those who follow what you have achieved with this heritage - "modernism," "late modernism," "European modernism" are also unsatisfactory labels, but I will use them as a kind of short-hand - you have contributed your own distinctive mark, perhaps in part because of where you have done much of your writing. South Africa, for example, seems to have brought out degrees of suffering, a sense of the body in history, that is remarkable in your work. Another example would be your particular account of what it means (ethically, and aesthetically) to live with difference, or alterity. In this respect, your writing is more challenging than the traditions sometimes conventional take on human failures of communication. There are, of course, many other achievements, and it seems to me that the Swedish Academy has rightly observed and affirmed them. J. M. Coetzee: It is not for me to comment on the word of the Swedish Academy. But, since you quite correctly mentioned Samuel Beckett as a formative influence on my writing, let me say something about Beckett. Beckett can certainly be called a high modernist or even a proto-postmodernist. Beckett was an Irishman and a European with no African connections at all. Yet in the hands of a dramatist of the sensitivity and skill of Athol Fugard, Beckett can be transplanted into South African surroundings in such a way that he seems almost native there. What does this show? That the history of the arts is a history of unceasing cross-fertilization across fences and boundaries. David Attwell: There is a line of self-doubt in the central figure of your latest work, Elizabeth Costello, which culminates in the postscript to the volume, the "Letter of Elizabeth, Lady Chandos, to Francis Bacon." This text is based on Hugo von Hoffmansthals famous Chandos letter, in which he rejects the aestheticism of his own earlier lyric poetry. More deeply, Hoffmansthals letter is anguished over a loss of faith in language itself and its ability to unite us to a world of meaningful objects. Elizabeths letter positions her in the same sense of crisis - even catastrophe, since the date you choose for her missive is September 11th (1603)! She leaves the text, in other words, in a state of self-repudiation. Is she saying that the literary life does not, after all, provide release, or relief, for the "extreme soul"? 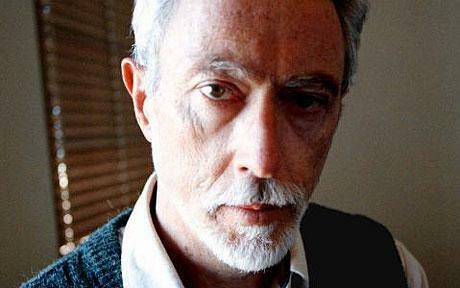 J. M. Coetzee: I tend to resist invitations to interpret my own fiction. If there were a better, clearer, shorter way of saying what the fiction says, then why not scrap the fiction? Elizabeth, Lady C, claims to be writing at the limits of language. Would it not be insulting to her if I were diligently to follow after her, explaining what she means but is not smart enough to say? Turning to the question of what way of life is best for "the extreme soul," I would say that what you call "the literary life," or any other way of life that provides means for interrogation of our existence - in the case of the writer fantasy, symbolization, storytelling - seems to me a good life - good in the sense of being ethically responsible.